The Freeway is the most direct way to travel via car to Advantech. From Melbourne Airport follow the sign to the Tullamarine FWY, follow the sign to the Monash FWY via Citylink (Tollway). Once on the Monash FWY, take exit 16 to merge onto the Eastlink/M3. From the Eastlink, take the Greens Rd exit and turn left. 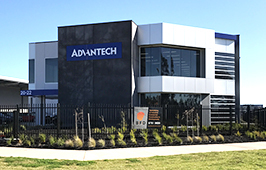 Follow the map to our office at Smeaton Avenue, Dandenong South.